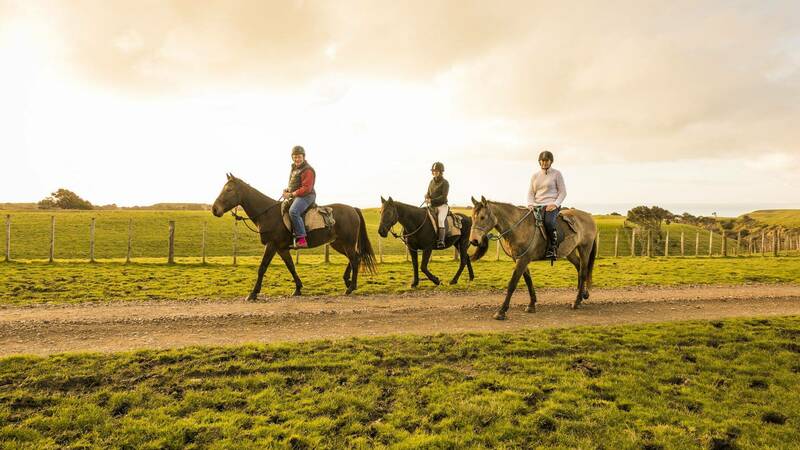 You will take the reins of a gentle, well-trained horse and head out across the vast 6,000 acre station. 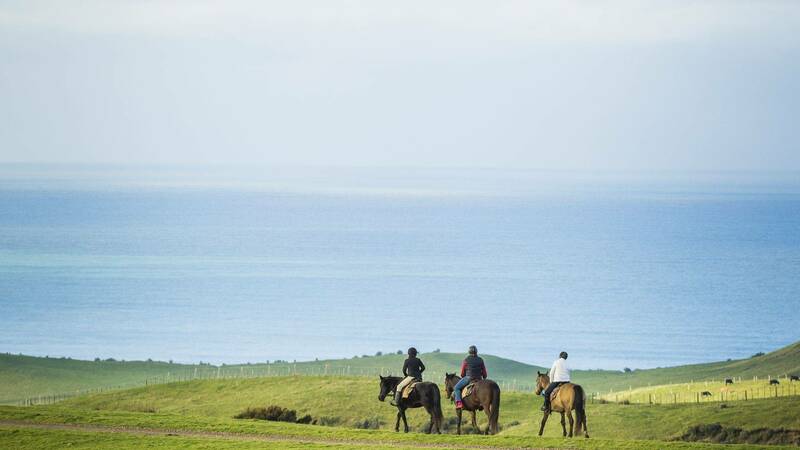 See all that Cape Kidnappers has to offer with rolling hills, deep ravines and expansive views both across the Pacific Ocean and out over thousands of acres of working farmland. 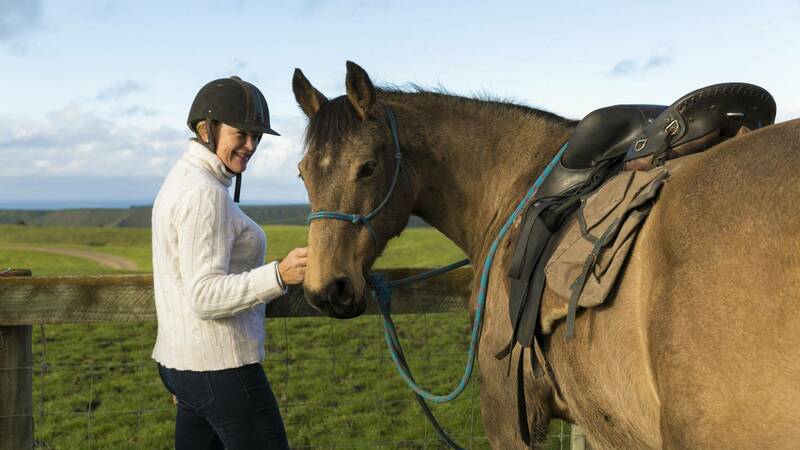 Your guide will choose a horse and trail that best matches your size and ability before you head out to explore the countryside or pick your way through rejuvenating native bush. Take a picnic lunch and you will be sure to find a sublime spot where you can dismount and relax before continuing your cross-country trek. 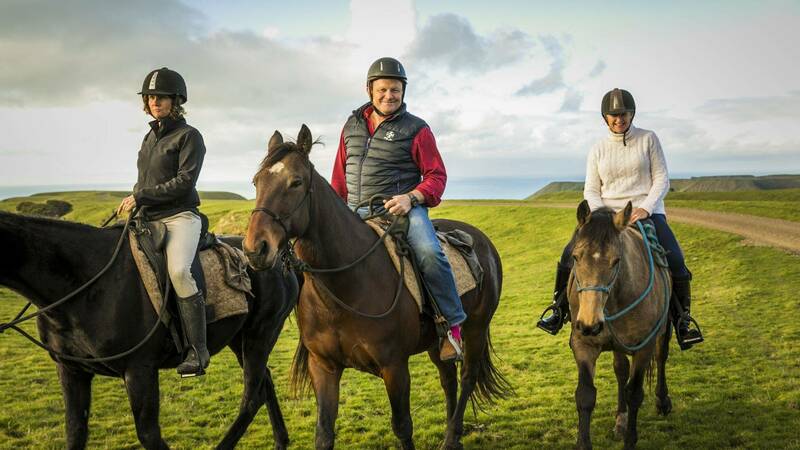 Horseback is a wonderful way to visit the Cape Kidnappers Black Reef gannet colony, and see the life and workings of this rugged coastal sheep and beef station.